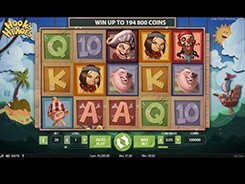 Hook’s Heroes is a tongue-in-cheek video slot inspired by the character of Captain Hook from Disney’s Peter Pan. 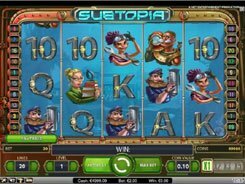 Played over 5 reels and 20 fixed paylines, the slot is packed with highly rewarding features that add fun to your gameplay. 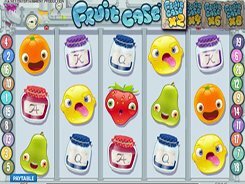 By customizing a coin value and the number of coins per bet line, you can place a bet anywhere from $0.2 to $200 per spin. A wild symbol represented by Captain Hook substitutes for other symbols and helps complete winning paylines. A scatter is depicted by a pirate in a crocodile mask. 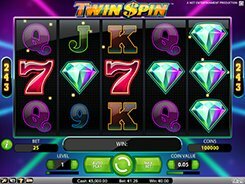 Two scatters landed on the reels trigger 1 free spin with any of the three features: Fairy feature, Mermaid feature or Pirate feature, each having its individual perks. 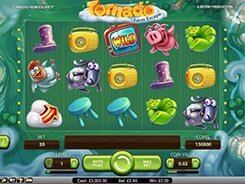 In the Fairy feature, you will get one free spin with five wilds in a random position on the reels; in the Mermaid feature, the payouts will be doubled; and in the Pirate feature, three or more matching symbols scattered anywhere (not necessarily on a payline) will count as a winning combo. 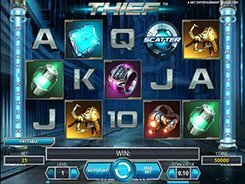 Besides, three or more scatters unlock up to 15 free spins where you choose from the 3 features mentioned above.